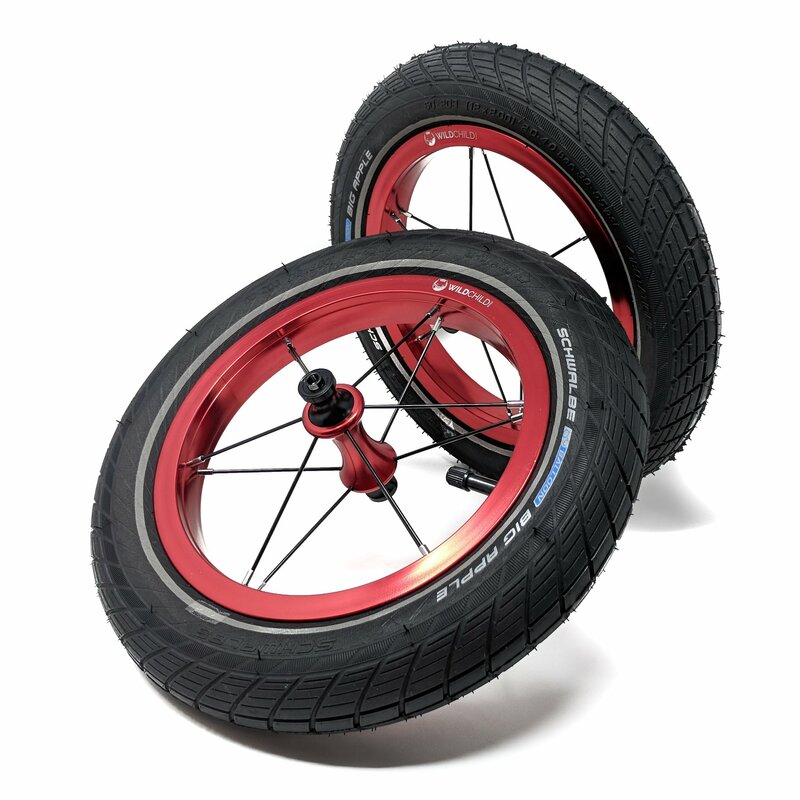 Finally a way to upgrade from the plastic mag wheels on your Strider or add a little customization to other balance bikes. Wild Child Pro Wheels are a high quality wheel set that replaces most 12″ balance bike wheels. 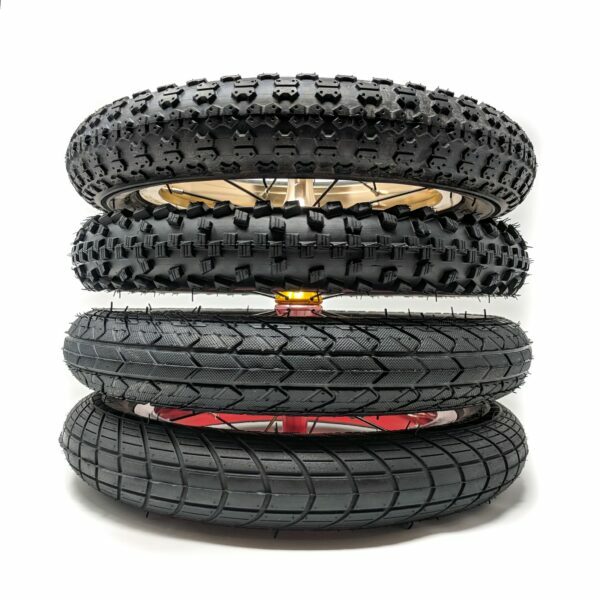 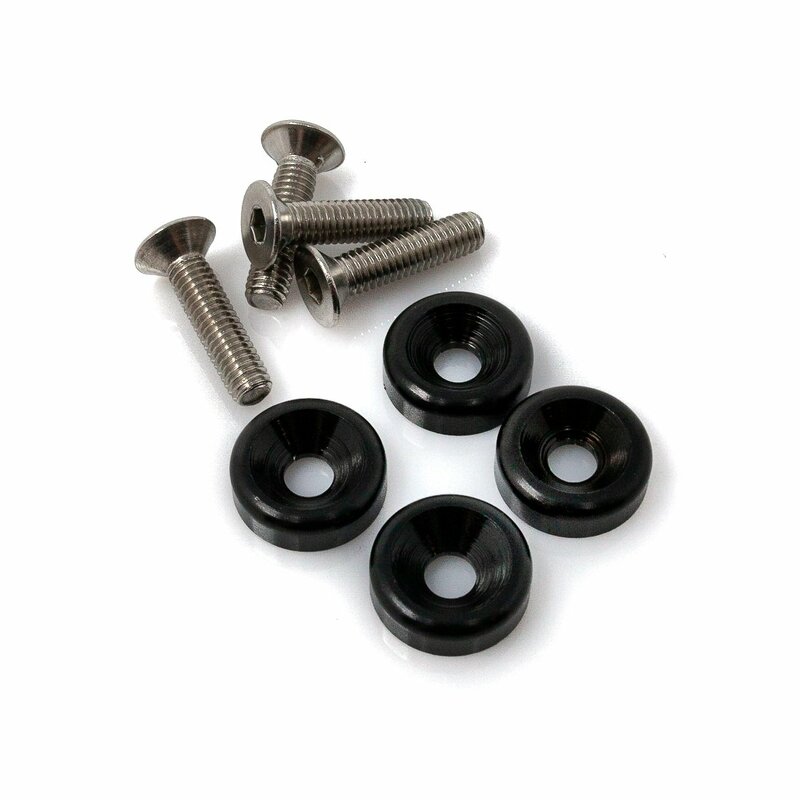 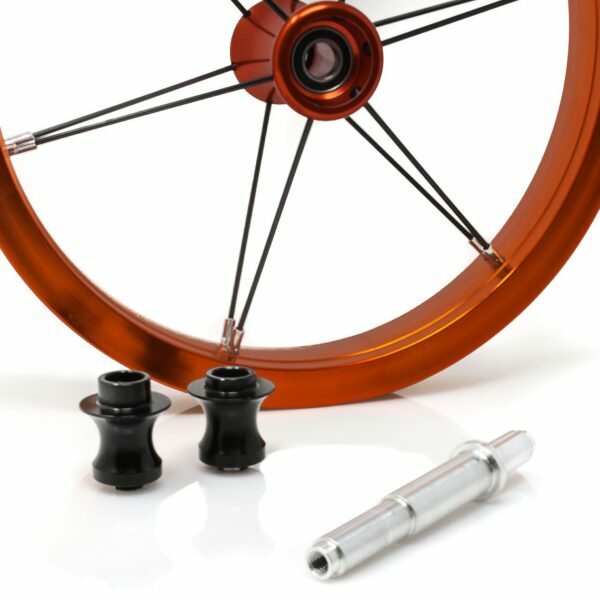 Each set comes with two fully assembled wheels (rim, hub, spokes), two tubes of your choice, two tires of your choice, all required hardware, and tool. The Wild Child Pro Wheel V2 is here! The V2 is lighter in weight than the first generation V1 from Wild Child. Full aluminum alloy with a wide range of shiny colors, perfect for customizing your child’s balance bike, making it uniquely theirs. Replacing standard EVA wheels with pneumatic wheels increases your child’s confidence and they will take less effort to go faster. 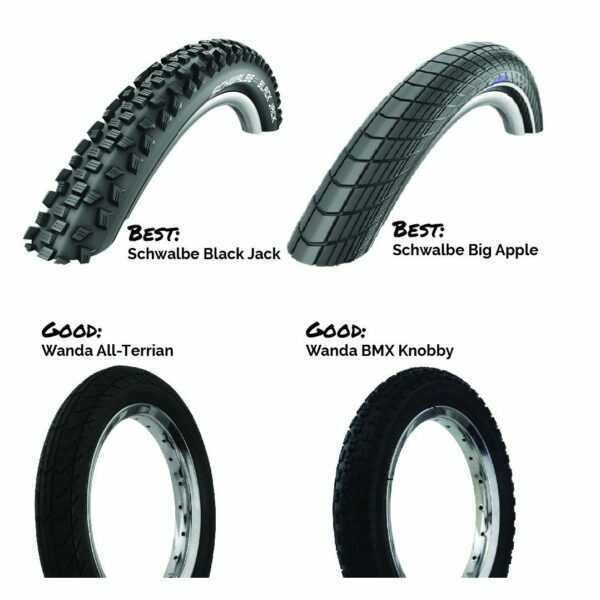 They are a perfect way to get them used to the performance of a regular bike. The wheels will fit all Strider 12s or other similar sized fork opening bike. Fully sealed carriage bearings, perfectly round rims, these wheels spinning is as smooth as butter. 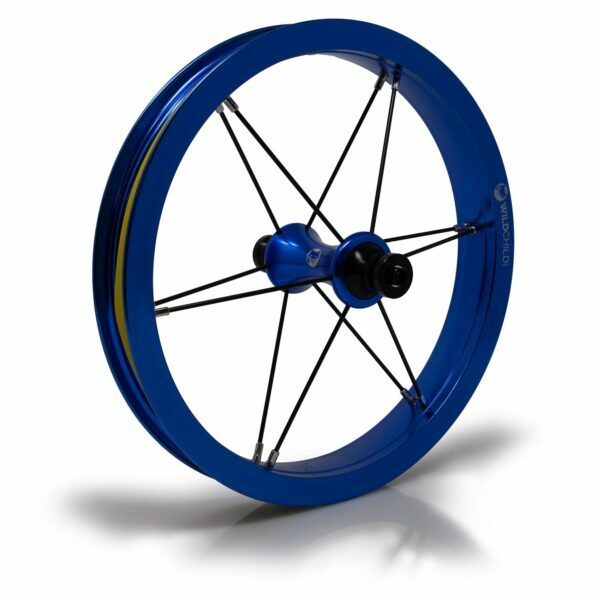 Comes in sets of TWO wheels the same colors.